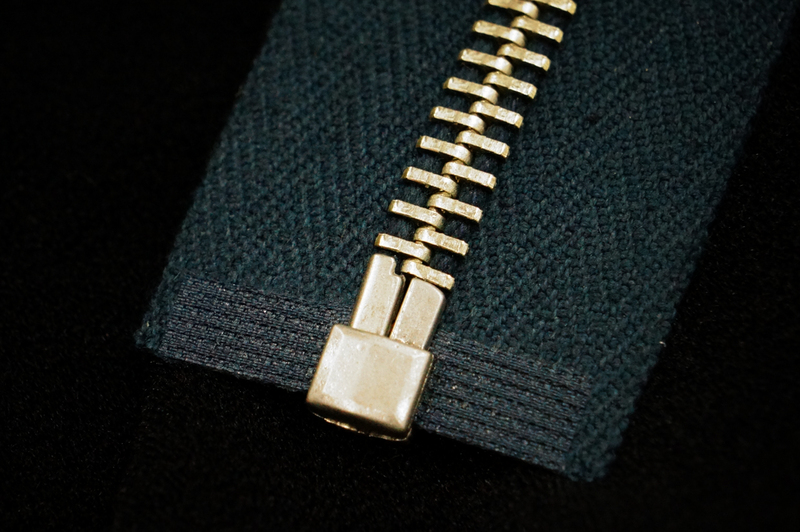 Another starring role in vintage zippers is --- Open end fittings. 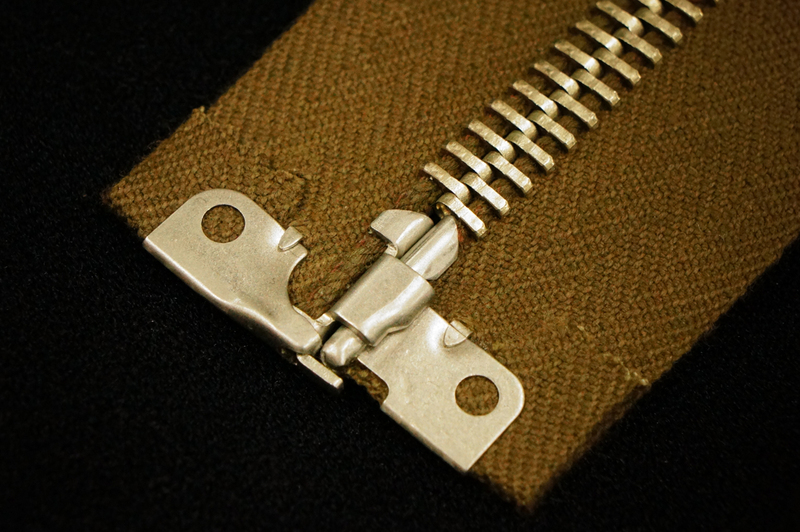 Those fittings have been invented with various fabrication methods according to the era they lived in. 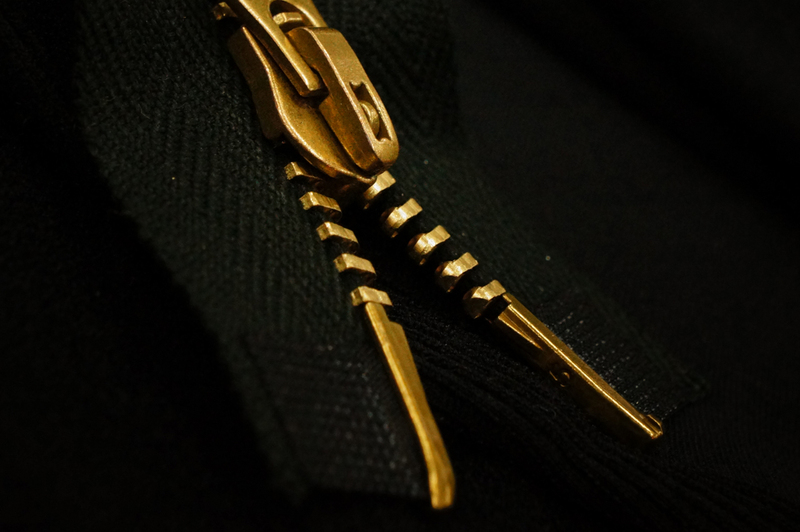 Feel the appeal, the passion, and the uniqueness with your own skin. 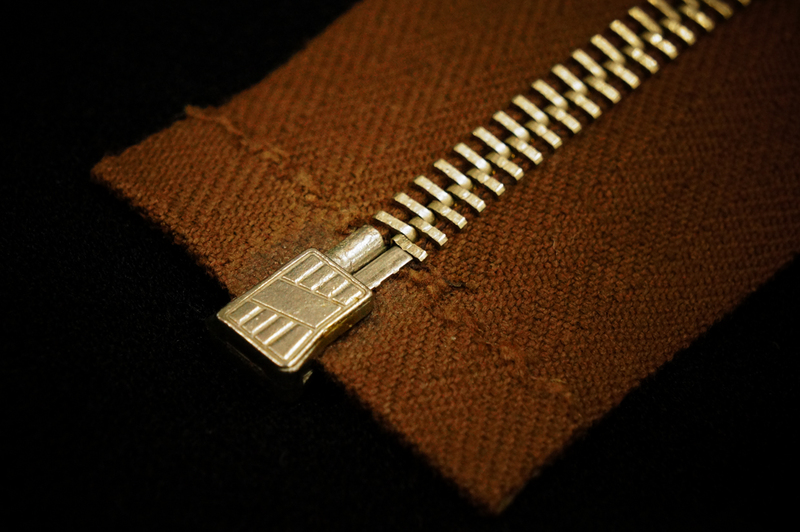 We are proud to present you the WALDES Zipper special open end fittings. 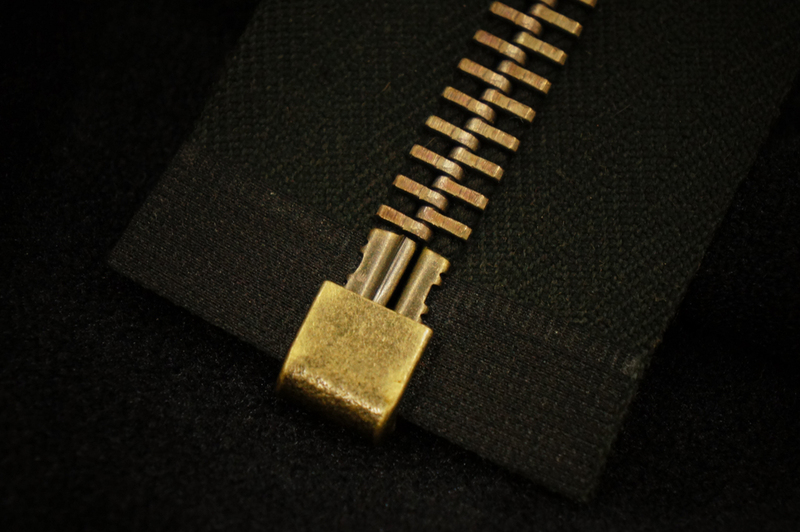 You may think it is just opening and closing fitting, but WALDES has something special which other mass-produced products cannot even compare with. 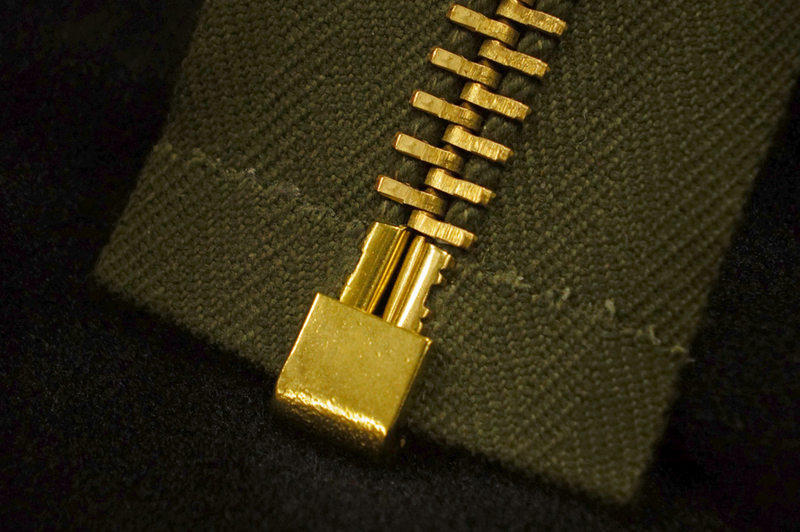 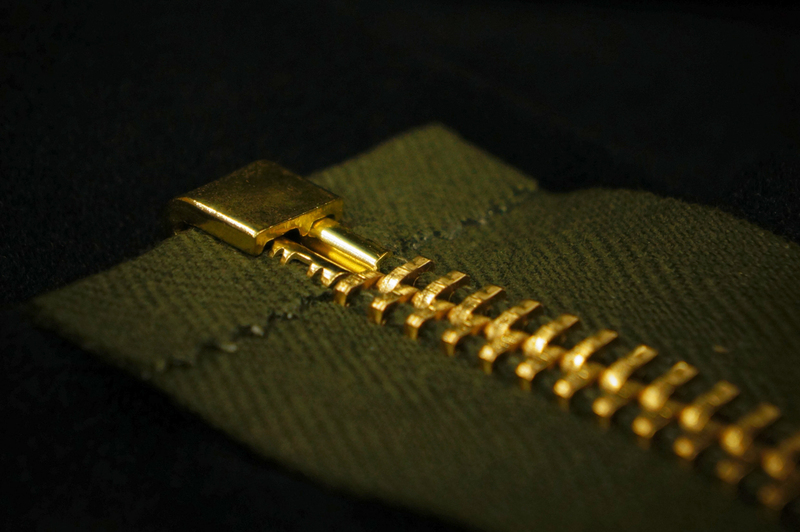 A zipper created one by one by a master is filled with unique features which you cannot find in other products. 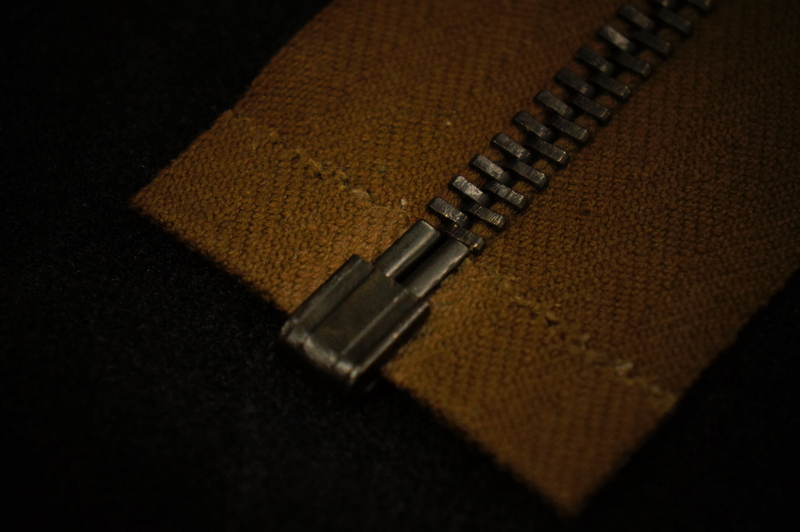 We faithfully recreated the bagged edge design at a reinforced section for fitting attachment, which was mainly used in USA flight jackets and so on back in 1940s. 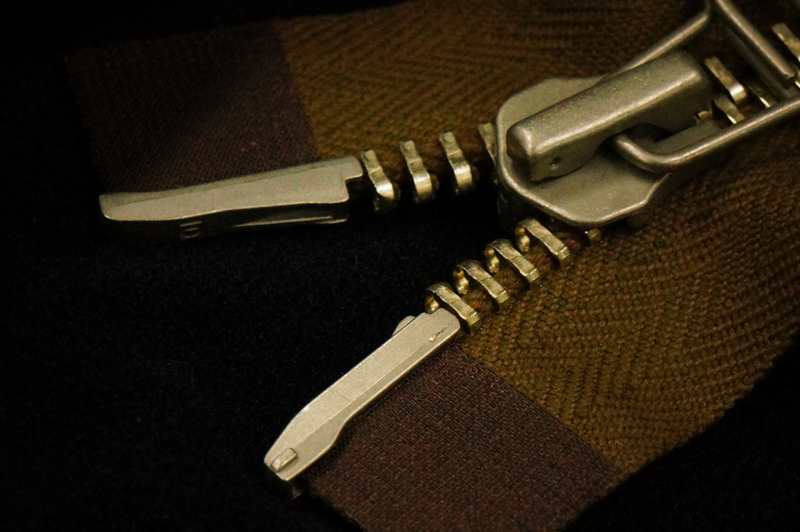 The treatment representative of military gives off distinctive atmosphere. 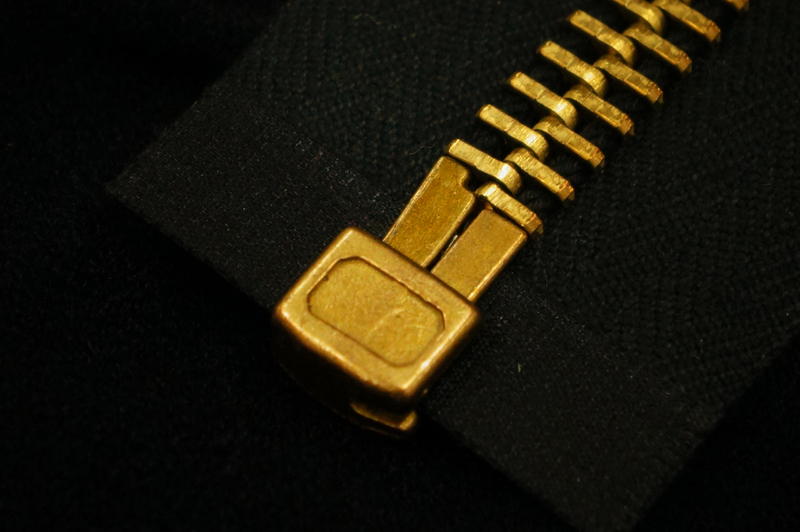 The fitting which employs brass press as a material is not plated (brass only) as in the case of an element, so you can enjoy the changes in the look over the years. 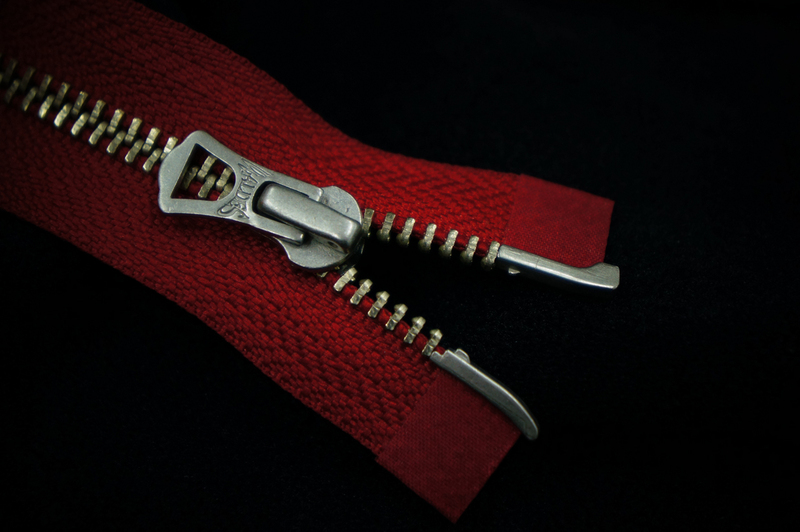 Vintage Zipper WALDES、Selvedge Zipper、MOKUTY Zipper、Peace Zipper、A-ZIP Supports. 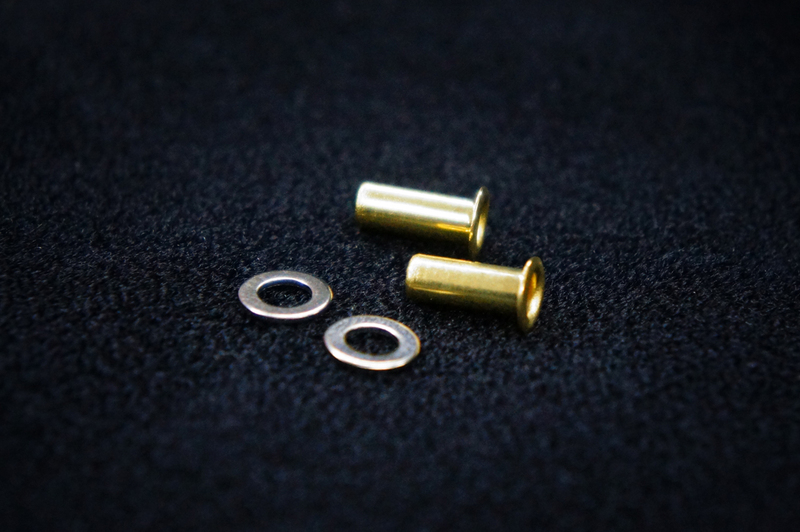 The fittings are plated according to various types of elements, but only the brass-press fittings (gold) are not plated. 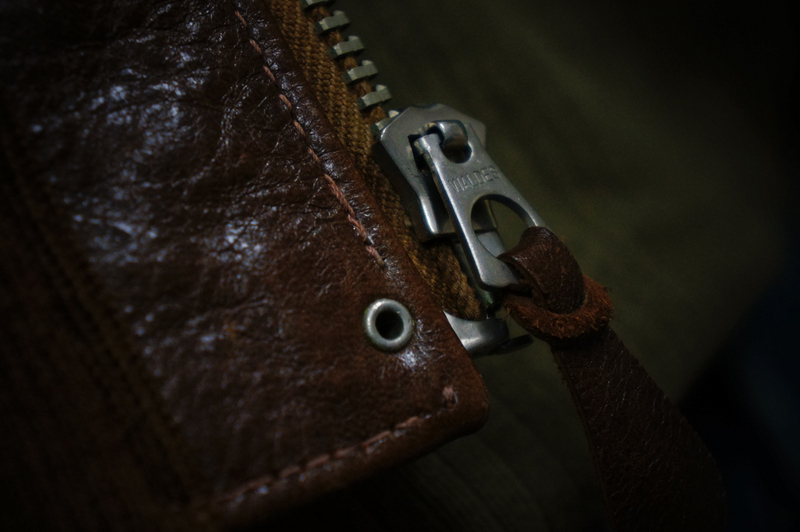 ※For the bagged edge treatment, it will be basically a left insert type. 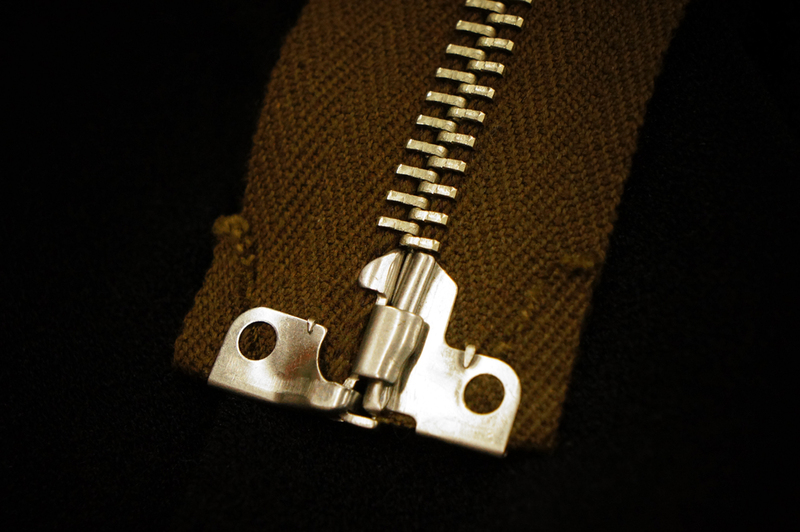 ※When sewing, be sure to drive grommets on the holes at the both sides of the fitting to keep it together with the fabric. 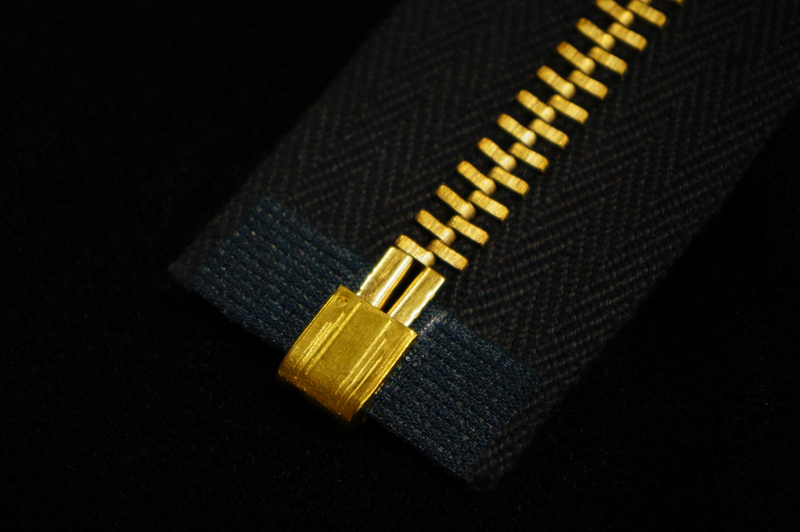 ※Unless otherwise specified at the time of ordering, as many 3 x 8 mm grommets as the number of zippers ordered will be enclosed. 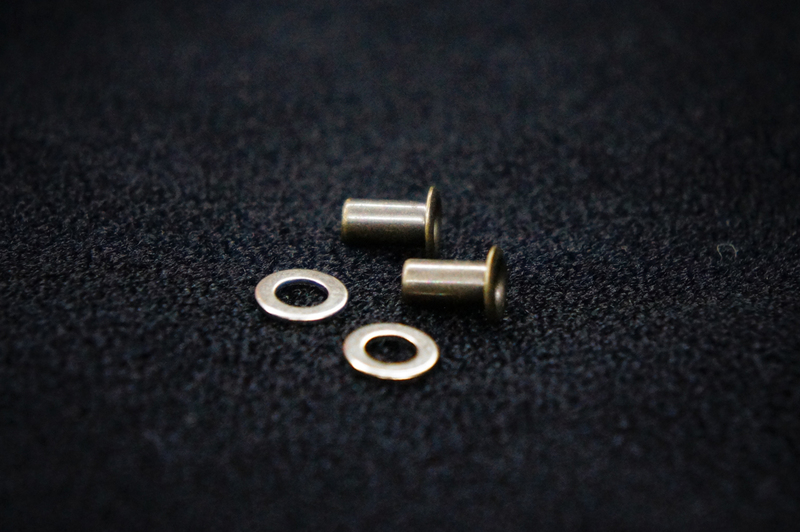 For grommets, the plating can be selected from various types, but a washer will be nickel plating only. 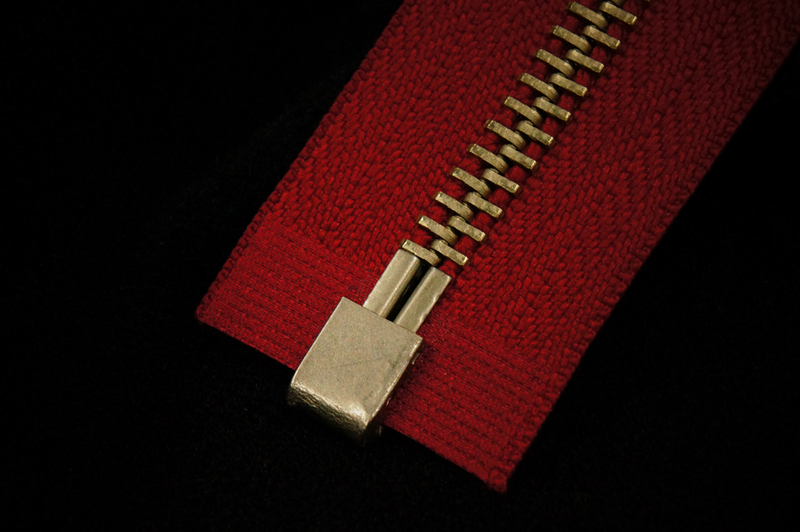 ※1Please designate the type of bagged edge when ordering, if you would like to have TN/DK OP, TN/ triplet OP, CN/ triplet OP, or CS/ triplet OP. 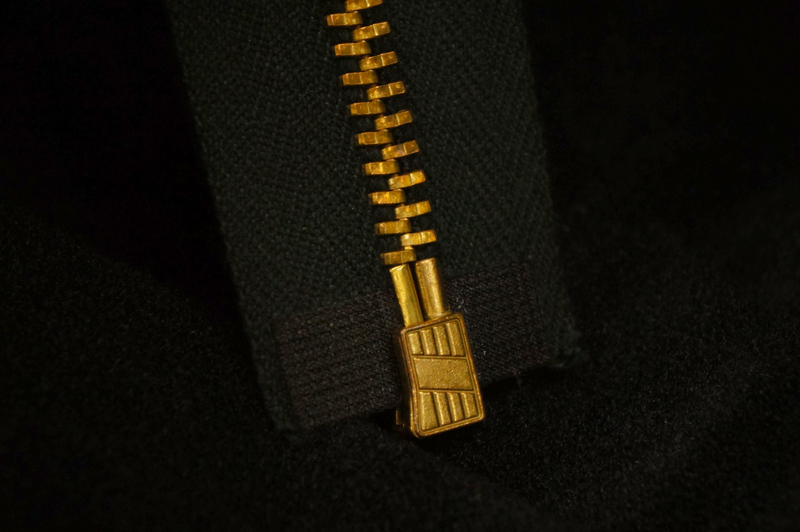 In the case of no designation, we will treat it with fabric tape.